With the return of Daylight Saving Time, I have more chance in the evening to work outside. Yesterday, as my social media brethren might recall, was a day off to rest from weeks of working a very exciting basketball season. Tonight I planted two Peace rose bushes for Abby, then made some effort to push/pull/chop some of the dead Rose-of-Sharon. It was quite cold, especially when the dry, north wind blew, but as sunset approached, I once again found myself wanting to make pictures. It was a beautiful, cold March evening. 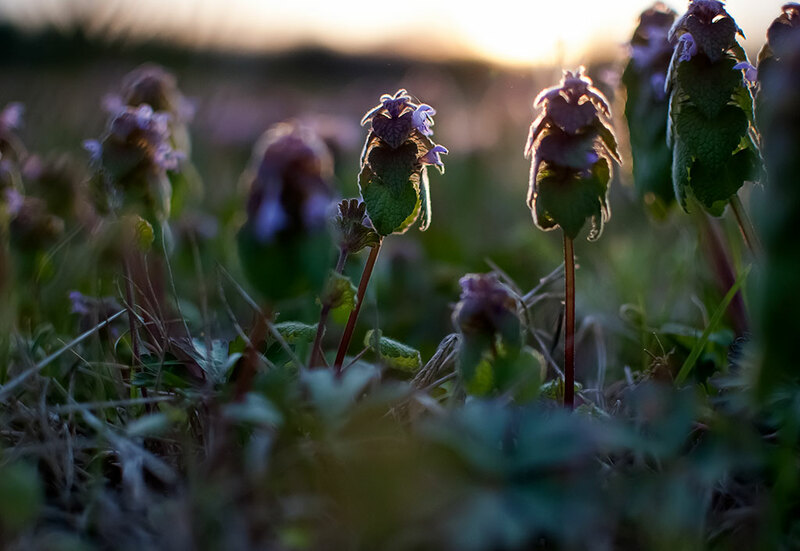 Henbit, one of the first weeds we see in spring, clings close to the ground with the sun setting in the background. 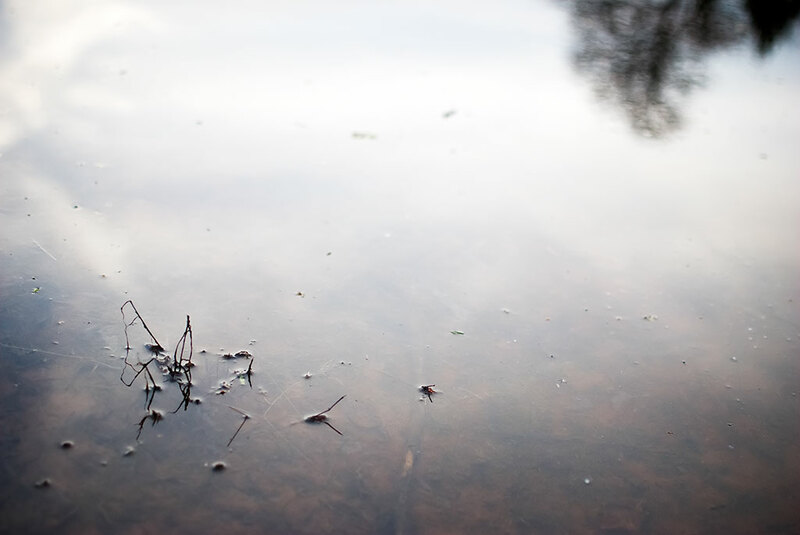 A sprig of something sticks out of the water at our pond. 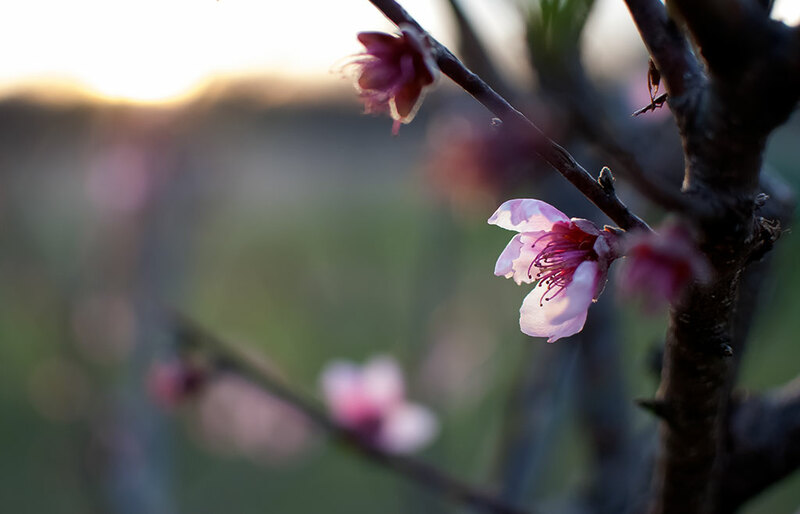 A peach blossom clings to one of my trees at dusk.